Sneak a peek, it’s all amazing! 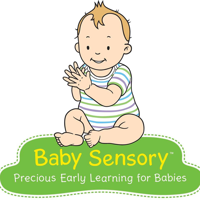 Our multi-award winning BabySensory classes will introduce you and your baby (or babies) to a world of sensory delights, where you can relax, spend quality time with each other and enjoy meeting other new parents. Specifically designed from birth, to aid your child's development, the classes are packed with an incredible variety of sounds, smells, sights, textures, music, dance, signing and more - plus you’ll never experience the same class twice. We've done the research so you can enjoy the fun!